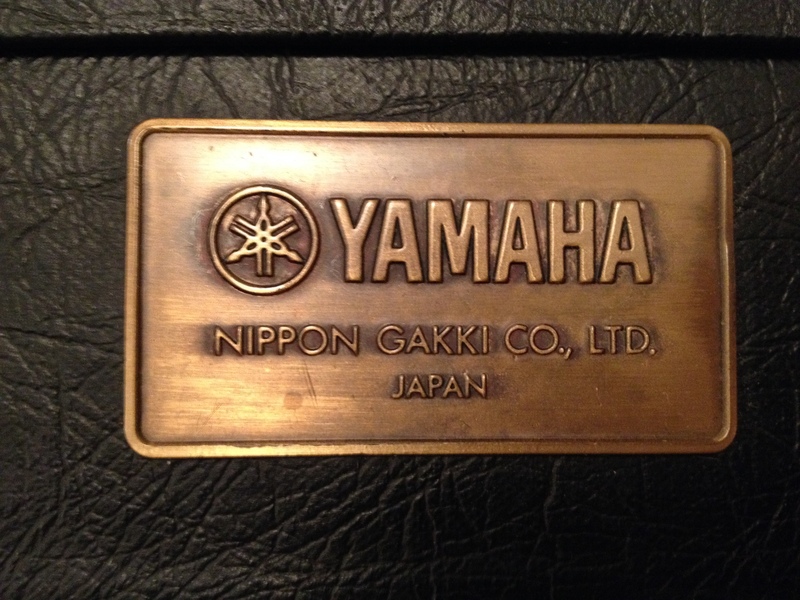 The Yamaha Super Flighter was made in the Japanese Nippon Gakki factory, as were the majority of Yamaha guitars up until the early ’90s when some production was moved to Taiwan and later to Indonesia and China. They were produced between 1977 and 1984 and had three generations of production within this period. Something that seems to be relatively standard amongst early Yamaha guitars is that every model (even the lower budget ones) were supplied with a range of high quality accessories. I’m unsure about the later generations, but the first run of Super Flighters were supplied in a fitted hard case (SFC model) with a printed owner’s manual, leather strap, cleaning cloth, plectrum, jack cable, screwdriver and hex-key. This is a great little bundle of case-candy for a collector as most are not sold with these accessories any more! Thanks to Mike for supplying me with the photo of the plectrum and jack cable supplied, as I’ve not been fortunate enough to have picked up a “complete” enough package to have these included yet. As these kind of accessories are often seen as “through-away” items, it’s very rare to find a Super Flighter with all the accessories included these days. If you can find one then well done, but it doesn’t increase the overall value by a great deal. Theories as to the motivation behind evolving the Super Flighters vary, but the most commonly thought reasoning behind discontinuing the first generation is to do with Carlos Santana and the SG2000. In 1977 Santana released his ninth studio album “Moonflower” which was the first to feature him playing an SG2000. It’s suspected that this exposure increased the sales of the SG, putting it ahead of the current model of Super Flighters. Perhaps this is what prompted them create something a little more “modern” in order to appeal to another area of the market? I don’t suppose we’ll ever have a solid answer!